WORTH FIGHTING FOR out now! Kensington giveaway of WORTH WAITING FOR is live! 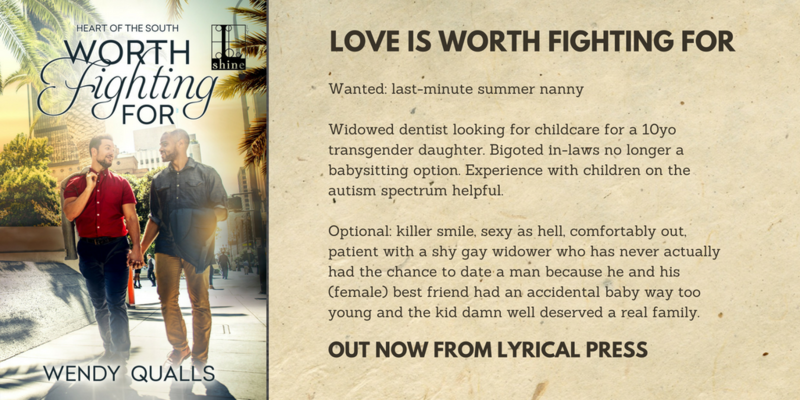 I’m still terrible at navigating Goodreads, so I just figured out TODAY that Kensington Lyrical is giving away two copies of WORTH WAITING FOR. All you need to do to enter is click – https://www.goodreads.com/book/show/35148449-worth-waiting-for. Come see me at RT convention in Atlanta! I can’t believe it’s already May first! I consider this Jonathan Coulton day. If you don’t know what I’m talking about, Google “Coulton first May” and make sure you don’t have any kids or coworkers in earshot of the video. Even more exciting than my love of Jonathan Coulton is the fact that RT is happening THIS WEEK in Atlanta, and I’m going to be there! I’m not on any panels, but I will be signing at Kensington’s “Peaches and Cream” event on Thursday evening, 5:15-6:15, in Grand Hall West. I’ve got some fun swag, free copies of SAVE THE DATE, and I’d love to meet each and every one of you! WHERE SHOULD THE BOOK BE SET? WHICH PAIR OF HEROES WOULD YOU LIKE TO SEE? WHICH KINKS WOULD MAKE THE STORY HOTTER? Get it at one of the links here!